Well this beats being indoors in a hotel conference room! A swimming pool at a wedding always gives it a much more informal atmosphere. 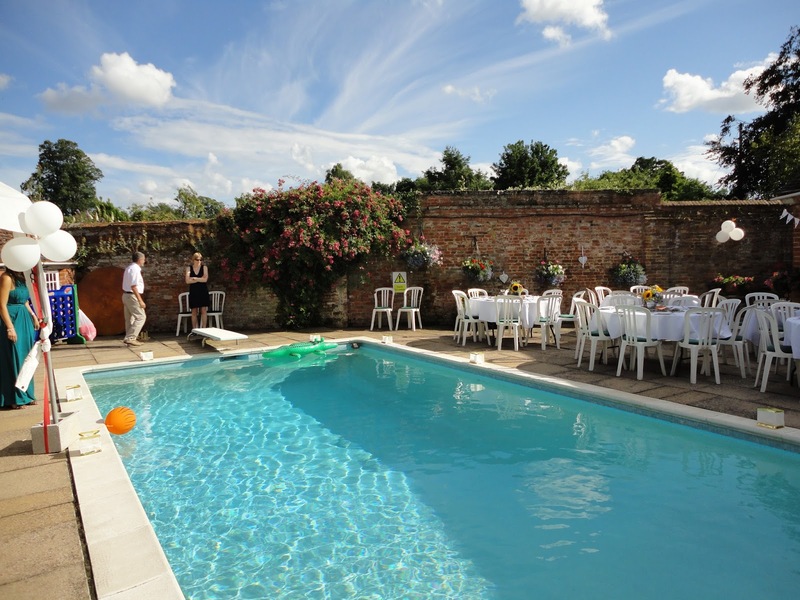 We often do weddings were there is a pool in the background and after the meal guests take to the waters - much more informal and fun! This time the pool was centre stage. Just so lucky the sun favoured us - rain the day before and the day after - but this day was perfect. 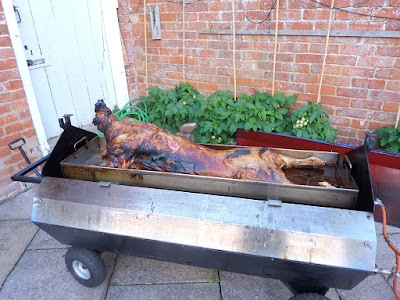 Whole lamb roast. Everyone loves watching & smelling it cooking & being carved - cravings! Banter around the lamb roast with the father of the bride and guests - it never fails to draw people in. Another family from Africa were telling me all about a bison roast on an open fire - sounds epic! Greek salad - a classic with lamb. Earlier that week I had called over to my Mum's house (take over a bunch of receipts - VAT time....) so picked some fresh oregano to go on the top of this salad - makes all the difference. The oregano plant is probably older than me. Thought I'd killed it one winter when I cut it right back - but they're hardy things. Also great to add to the barbecue to add flavour to what you're cooking. 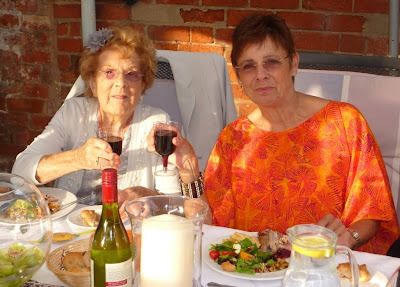 Grandma of the bride and (I am assuming) Aunty. Cheers! Israeli cous cous salad always goes down well - not everyone has had the larger grain variety. 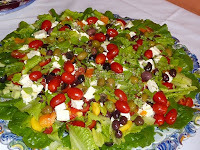 The butternut squash salad is always a hit too - withcourgette carpaccio replacing feta as they had greek salad . We also served dauphinoise potato and Beetroot, rocket, fennel, radish and apple salad with cider vinaigrette - what a feast! 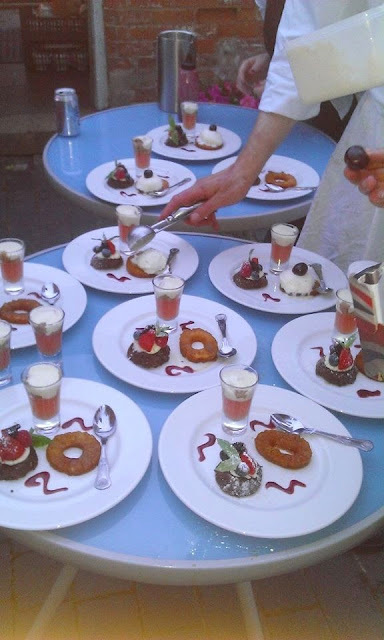 Shotglass of rhubarb jelly topped with custard, Grilled caramelised pineapple with homemade malibu ice cream & mini chocolate torte with white chocolate ganache and berries. The rhubarb shotglass was something we came up when we first met up back in March. We topped the jelly with some of the rhubarb compote left from making the jelly then spooned custard on top. So it's rhubarb and custard, but not as you've had it before! 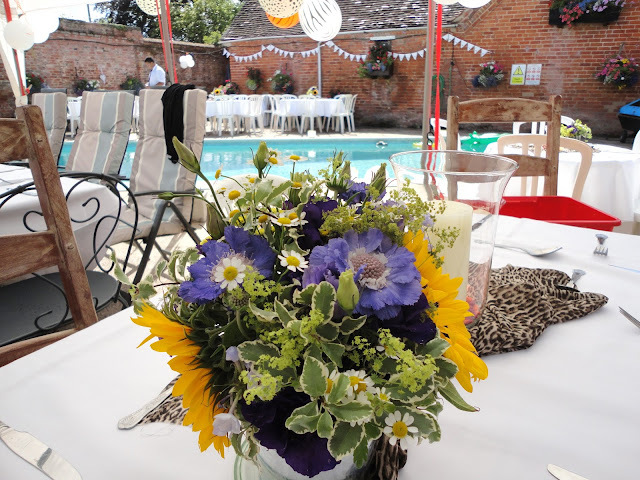 Thank you so very much for the fantastic catering you provided for our pool-side safari party last weekend to celebrate the wedding of our daughter and son-in-law in Zambia earlier in the year. 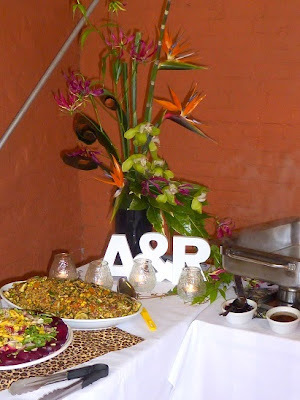 Every guest without exception remarked on the food and how wonderful it was to have something really different, and which looked and tasted so amazing. And you achieved all that on our limited budget too! 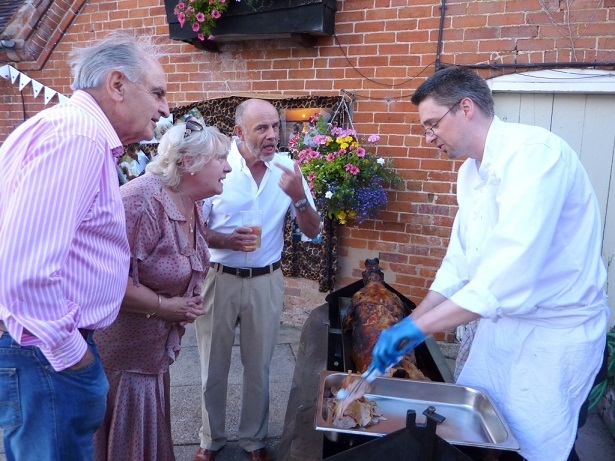 The whole lamb roast was a huge success, and the canapes, salads and desserts were just perfect for the summer's evening event - you even managed to produce the sun at the important time! It amazed us that you were able to do so much in such a confined space, yet when we returned to the kitchen after the party it was spotlessly clean and tidy. Your assistants set the tables to our requirements, and quietly and efficiently served and cleared throughout the evening. We had sampled your food at the wedding of friends about 18 months ago, and our high expectations were certainly matched, and exceeded, by the food you suggested and provided for our event. 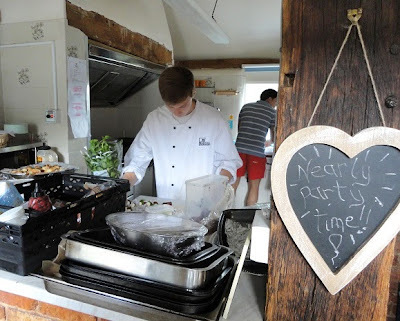 We loved the idea that everything was so fresh and local, and really enjoyed eating up the minimal leftovers the following day! Thank you to the whole BofB team for their hard work, which made our celebration so enjoyable - we were able to relax and join in the party knowing that the catering was totally under control. 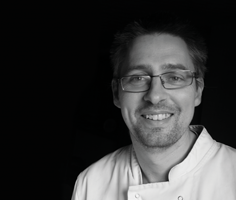 And a special thank you to you, James, for masterminding the whole operation, suggesting food to fit in with our ideas without running away with our budget, and being so flexible in the pre-event meetings to fit in with our availability. We will certainly recommend you whenever we can, and are already looking forward to the day we can plan another party and use your services again!.